About "Special line segments in triangles worksheet"
Special line segments in triangles worksheet is much useful to the kids who would like to practice problems on triangles. Before we look at the worksheet, let us come to know some basic stuff about "Special line segments of triangles"
The following are the four special line segments within a triangle. The angle bisector divides an angle into two equal parts. 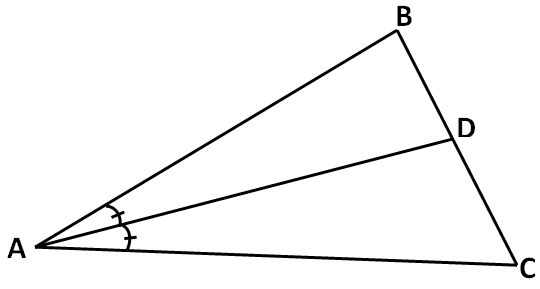 In the above triangle ABC, the line AD bisects the angle A. So, AD is the angle bisector of angle A. Similarly we can draw angle bisectors to the angles B and C.
Hence, every triangle will have three angle bisectors. The perpendicular bisector of a triangle is a line which is passing through the mid point of the side and also perpendicular to that side. So, ED is the perpendicular bisector in the above triangle. Similarly we can draw perpendicular bisector to the sides BC and AC. Hence, every triangle will have three perpendicular bisectors. The median of a triangle is a line segment joining joining a vertex to the mid point of the opposite side. In the above triangle, the line segment joining the vertex C and the mid point of AB which is D.
So, CD is the median in the above triangle. Similarly, we can draw medians from the vertices A and B also. Hence, every triangle will have three medians. Altitude of a triangle is a line segment through a vertex and perpendicular to (That is, forming a right angle with) the opposite side which is considered to be base. In the above triangle, the line segment AD is passing through the vertex A and perpendicular to the side BC. So, AD is the altitude of the triangle. 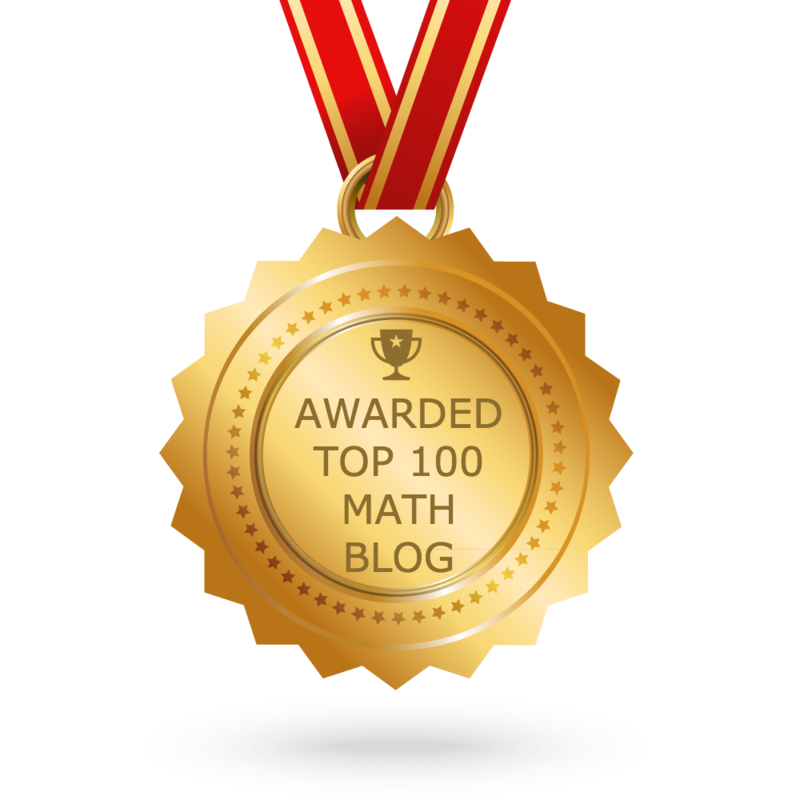 Similarly, we can draw altitudes from the vertices B and C also. Hence, every triangle will have three altitudes. 1) In the triangle ABC, angle A is divided in to equal halves by the line segment AC. What type of line segment is AC ? 2) In the triangle ABC, the line segment AD is passing through the vertex A and also perpendicular to the opposite side of the vertex A. What type of line segment is AD ? 3) In the triangle ABC, the line segment ED is not passing through any of the vertex but it is perpendicular to one of the sides of the triangle and also passing through the mid point of the same side. What type of line segment is ED ? 4) In the triangle ABC, the line segment AD is passing through the vertex A, perpendicular to the side BC and also passing through the mid point of the side BC. What type of line segment is AD ? 5) In the triangle ABC, the line segment AD joining the vertex A and the midpoint of the side BC. What type of line segment is AD ? 6) In the triangle ABC, there is a angle bisector at angle A. After the angle A is divided in to two equal halves, if each half measures 22°, find angle A. 7) In the triangle given below, AD is the angle bisector. If <B = 70° and <C = 60°, find <BAD and <DAC. 8) In the triangle given below, ED is the perpendicular bisector. If <B = 60° and <C = 70°, find angle <AED. 9) In the triangle given below, CD is the median. If <B = 60° and ADC = 120°, find <BCD. 10) In the triangle given below, AD = 4 cm and BC = 8 cm, find the area of the triangle. In the triangle ABC, angle A is divided in to equal halves by the line segment AC. What type of line segment is AC ? Given : Angle A is divided in to equal halves by the line segment AC. Only the angle bisector will divide an angle in to equal halves. Hence the line segment AC is angle bisector. Let us look at the next problem on "Special line segments in triangles worksheet"
In the triangle ABC, the line segment AD is passing through the vertex A and also perpendicular to the opposite side of the vertex A. What type of line segment is AD ? Given : The line segment AD is passing through the vertex A and also perpendicular to the opposite side of the vertex A. Only the altitude will pass through the vertex and perpendicular to the opposite side of the vertex. Hence the line segment AD is altitude. In the triangle ABC, the line segment ED is not passing through any of the vertex but it is perpendicular to one of the sides of the triangle and also passing through the mid point of the same side. What type of line segment is ED ? Since the line segment ED is not passing through any of the vertex, it can not be altitude. But ED is perpendicular to one of the sides of the triangle and also it is passing through the midpoint of the same side. Hence the line segment ED is perpendicular bisector. In the triangle ABC, the line segment AD is passing through the vertex A, perpendicular to the side BC and also passing through the mid point of the side BC. What type of line segment is AD ? Since the line segment AD is passing through one of the vertices vertex and perpendicular to the side BC, clearly AD is altitude. But AD is also passing through the midpoint of BC. So it is also perpendicular bisector and median. Hence the line segment AD is altitude, perpendicular bisector and median. In the triangle ABC, the line segment AD joining the vertex A and the midpoint of the side BC. What type of line segment is AD ? Given : The line segment AD joining the vertex A and the midpoint of the side BC. Only the median will join one of the vertices of the triangle and the mid point of the opposite side of the vertex. Hence the line segment AD is median. and <C = 60°, find <BAD and <DAC. In the triangle given below, ED is the perpendicular bisector. If <B = 60° and <C = 70°, find angle <AED. In the triangle given below, CD is the median. If <B = 60° and ADC = 120°, find <BCD. 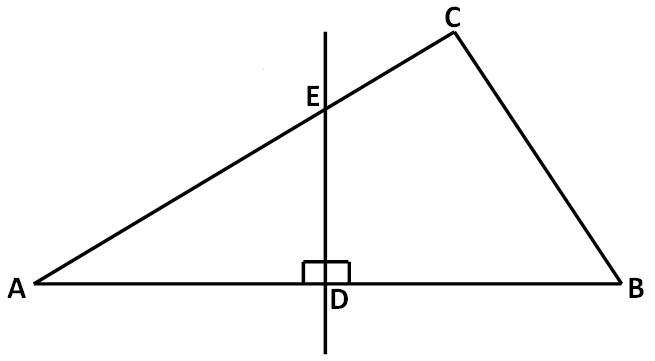 From the given figure, angle ADC and angle CDB together form a straight angle. In the triangle given below, AD = 4 cm and BC = 8 cm, find the area of the triangle. 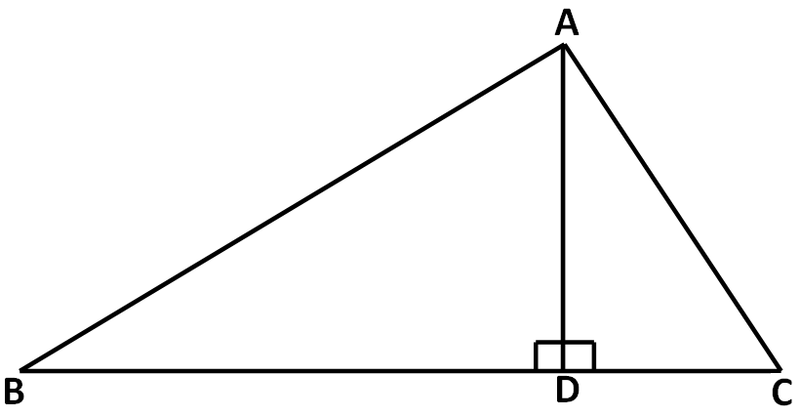 In the given figure, clearly AD is the height (altitude) and BC is the base of the triangle. Hence, area of the triangle is 16 square cm. After having gone through the stuff given above, we hope that the students would have understood "Special line segments in triangles worksheet"